Keep calm doctor Banner. Keep calm. You can fight this. Just keep calm. Three. Two. One. Green! HULK SMASH! No, this is not an excerpt from a Marvel comic book. This is what happened just a week back. Only, Banner wasn't an American scientist. He was a German with serious split personality issues. And I wasn't reluctant to let his green skinned buddy out. In fact I was looking forward to all the mayhem he would unleash. I would even say I rather enjoyed it. Okay, maybe I was a bit startled by the sheer velocity this car could generate but, that doesn't mean I didn't enjoy it. I mean, a turbocharged, direct injected, petrol V8. You'd have to be lacking some serious horsepower in the intelligence department to not see how awesome it is. It does make 420PS and 550Nm after all. To put that into perspective, that's just 10PS down on what the R8 with its V8 engine makes. Supercar territory you say? I agree. And it's not just the numbers. It's all awesome when you look at the numbers. 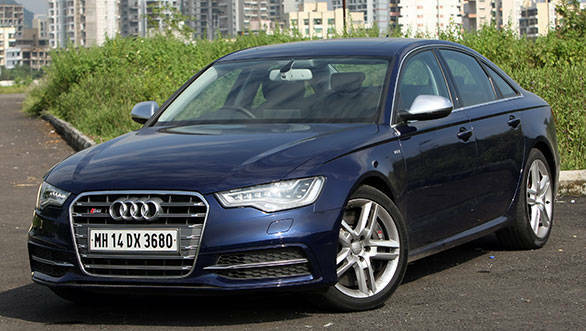 It's when you realise that all that performance is packed into what is essentially the same A6 sedan that your uncle drives that you really start to appreciate the big picture  a family car that is a sports car in disguise. What else can it be? I mean it does 0-100kmph in merely 4.89 seconds. It can easily do speeds close to 260kmph. If that is not a sports car, I don't know what is. There is ample power right through the rev range no matter what gear you are in. The 7-speed twin clutch gearbox shifts instantly and playing with the paddles will have you shooting out of corners like Wile E with an Acme rocket strapped to his behind. As awesome as the car is we did have a few complaints. The biggest grouse is that for a V8, it really doesn't make as much noise as we would have like. The second is that the throttle response is not as razor sharp as we would have liked. It takes a moment to pick itself up and shoot ahead. 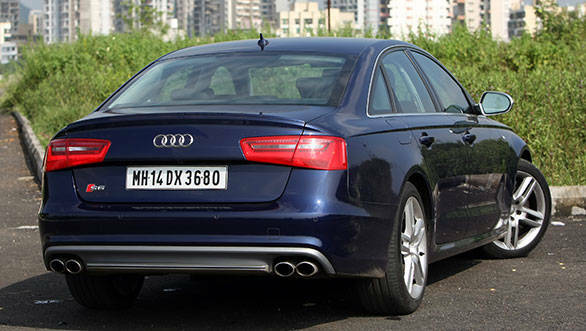 Don't get me wrong, it is better than your average A6 but just not sharp enough to match the sports car character of the engine. Just like the fuel economy in this car. You would expect that for a car with this kind of performance, the economy figures would make you cry. This is where you will be surprised. 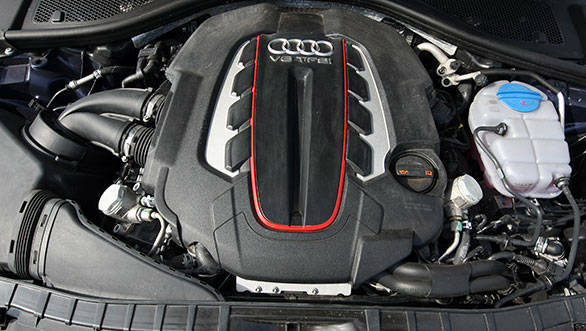 The 4-litre V8 uses Audi's cylinder on demand technology. This means that when you do not need all the performance you can get, this motor transforms from a fire breathing V8 into a well behaved four cylinder engine. So, with a light right foot, you will be able to see 11.36kmpl on the highway and 7.09kmpl in the city. Which means you won't regret using this car for the daily run. And if you are planning on using this car for the daily run, you wouldn't have a lot to worry about. This is not one of those cars you have to drive sideways over speed breakers and slow down to near zero speeds over bad roads. The adjustable suspension means you can choose to stiffen it up for sporty driving or soften it nicely to A6 levels of comfort for shuttling your passengers around town. But it is in sports mode that this car truly belongs. The Quattro works silently and relentlessly to find you traction and put down all the power to the tarmac. But under hard cornering the ESP did cut in quite early to rain on your parade. And with my limited skills, I really wasn't going to switch ESP off and get adventurous. 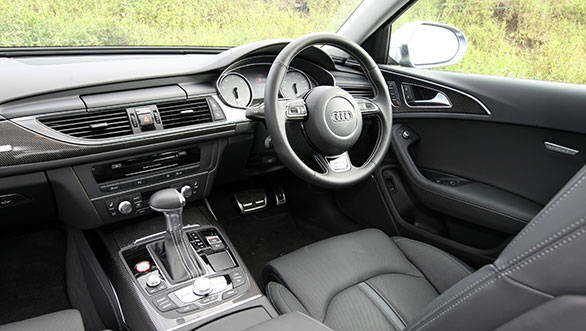 Inside, the cabin is pretty much the same as an A6. 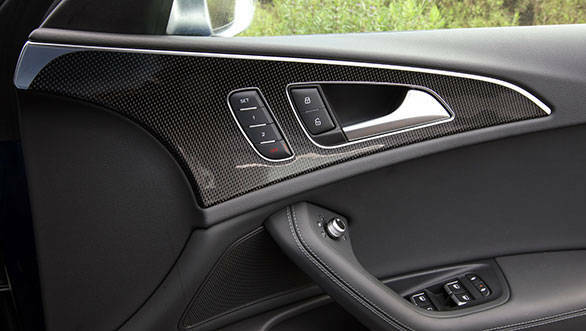 The only difference is the abundant use of carbon fiber on the doors, the centre console and the dashboard. 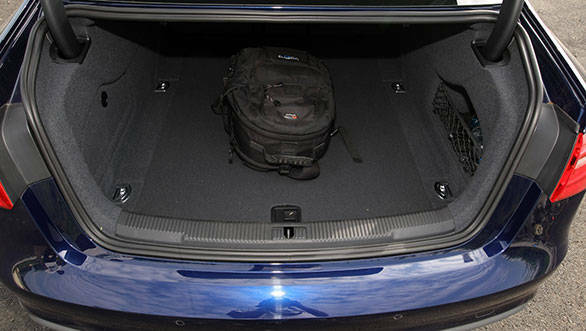 It still has all the bells and whistles  vented and heated seats, sat-nav, Bose sound systems, et al. 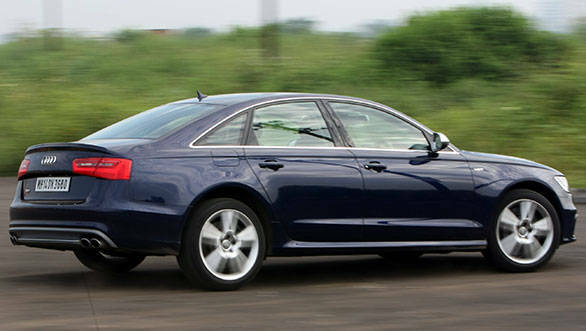 All this means that the S6's cabin is as luxurious as any other Audi. 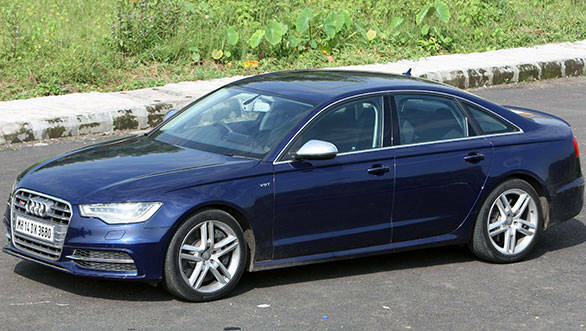 Even on the outside, it is very difficult to spot the S6 and differentiate it from a regular A6. The only differences are in the matte silver grille and the red S6 badge in front, the V8T badges on the sides and the four exhaust pipes round back. 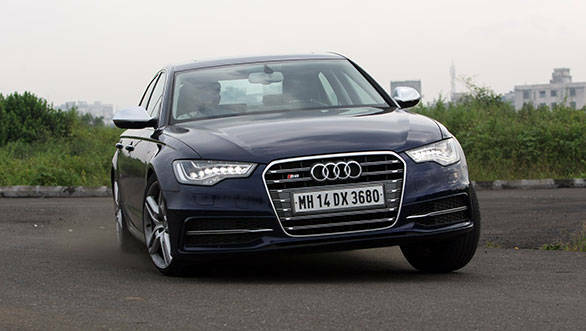 Overall, the S6 is a perfect sleeper. It is one of those cars that will leave the others eating dust and wondering what hit them. So the question is whether at Rs 86.26, ex-Mumbai, would you want Banner at your disposal? And that too with the option of unleashing the Hulk whenever you want.